They dont stink, which I like. My dog has a chewing problem, where she takes too big of bites - which is the only reason why I gave it a low effectiveness score. Just doesnt seem like she is chewing alot before she gets thru the entire treat. You know ur own dog! I have a very fussy, sooky of a German Shepard. Abby gets a dental stix of some sort every evening. 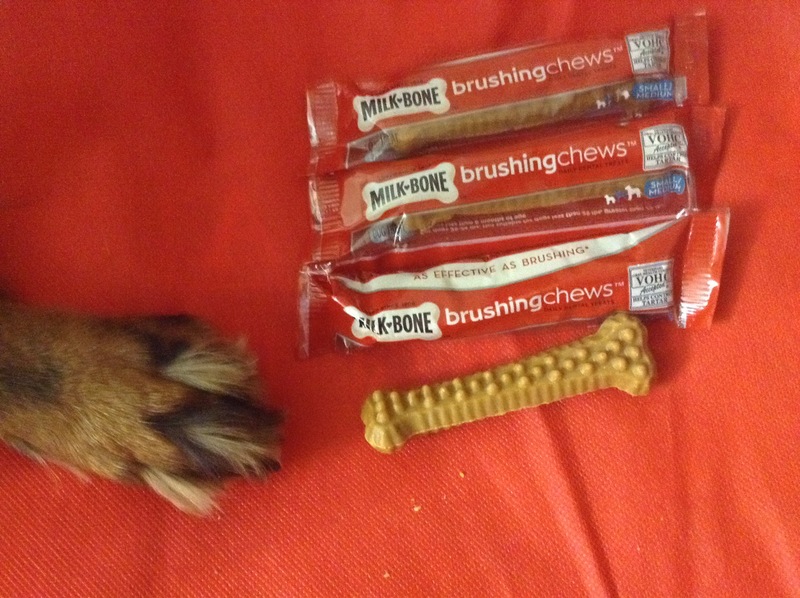 I bought the milk-bone brushing chews size large the other day. 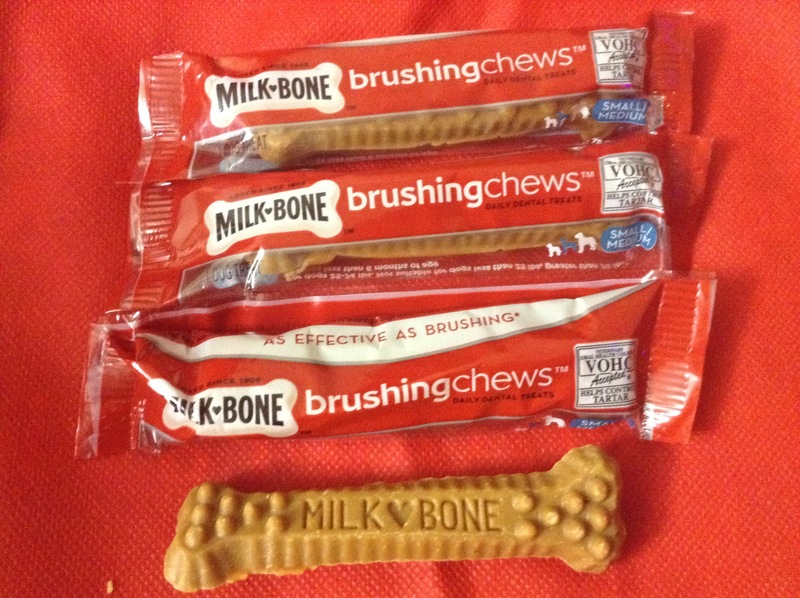 They were a bit on the expensive side for 5 chews... but this is something that I will give her once a week. 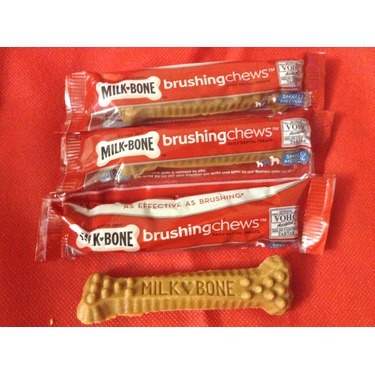 The chews are very hard, and have small, smooth roundish bristles over the entire chew. Abby seemed to enjoy the chew very much, she actually hid underneath the dining room table so the cats would not interrupt her. :) She is the type of dog that enjoys her food / treats and does not rush while eating. Well, she must have enjoyed that chew for 10 mins. By Abby's reaction, I will buy these again for her. 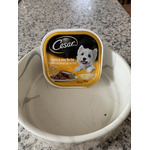 Mon chien est très difficile ... Dès qu'il a goûté il en redemande encore. Il a les dents plus blanches depuis seulement 2 semaines. C'est très efficace. 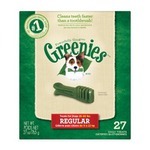 My dogs love these bones and they are good for there teeth. When they go to the vet they said they have really clean teeth. so I buy them every month. 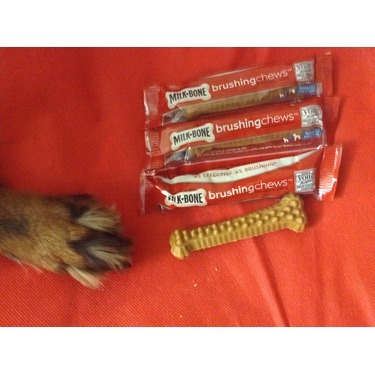 We recently took our dog to the dentist and they were so impressed at how clean his teeth were. We give him one daily and he absolutely loves them! 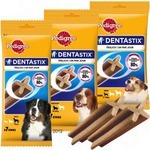 They are a great and non-invasive way for us to Leo stay or top of his oral health. My pitmix Stitch is a licker, and her breath can get pretty bad! Its great for her teeth, she even wanted more. I did find it a bit pricey, though I had a coupon to use, so I bought it. I like the fact that they contain 12 Essential Vitamins and minerals in thm. Works great! 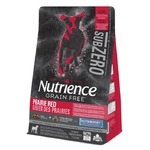 My dog loves these and I love that they help her breath not smell like dead fish. They're really expensive though, and that kind of puts a damper on my desire to purchase. Mon chien a adoré .depuis que j'utilise le produit je vois une amélioration au niveau du tartre sur ses dents.milkbone fait parti de notre quotidien.